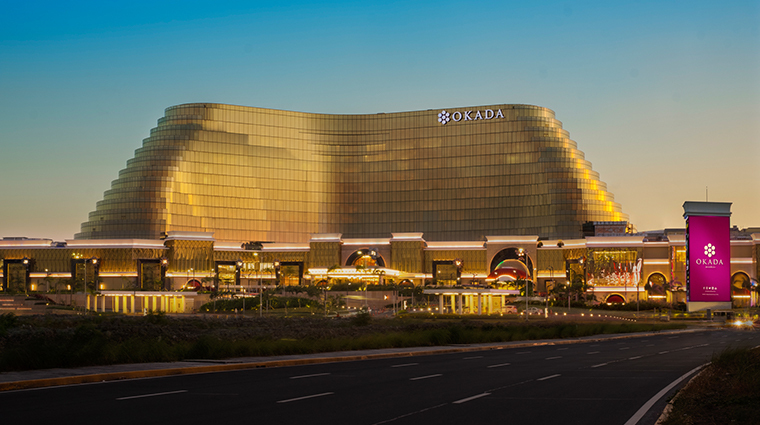 Opened in December 2016, Okada Manila is one of the newest additions to the thriving hospitality scene in the Philippine capital. Situated on the Entertainment City gaming strip, the 993-room hotel and casino occupies an ideal locale, just a few minutes away from the airport and in the center of the action. While the property is surrounded by malls, theaters and the gorgeous Manila Bay, there’s so much more to explore within its 108 acres. Divided into the Pearl Wing and Coral Wing and connected by a golden skybridge, the building has marble interiors that are lavishly adorned with jewels, precious stones and vibrant shades of plum and blush, giving it a warm sense of welcome and easing you into an enjoyable and luxuriously relaxing stay. 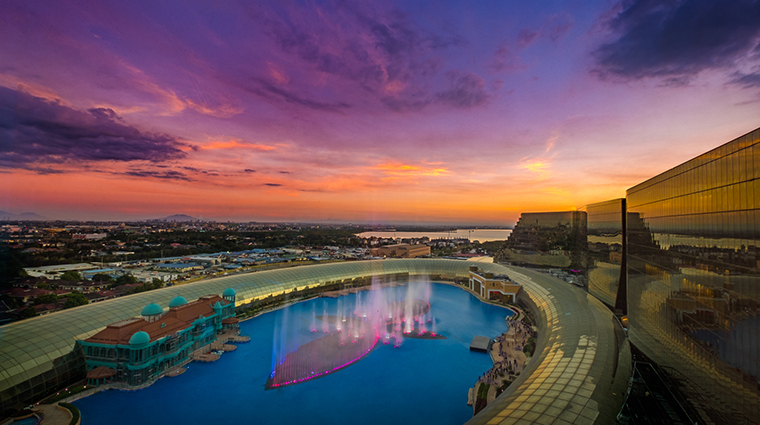 Be sure to check out The Fountain, the largest multicolored dancing water feature in the world. Taking up the equivalent of 50 Olympic-sized swimming pools, it has more than 700 high-powered water jets, 23 high-fidelity speakers and thousands of vivid lights — all performing in sync to pop songs or classical pieces. 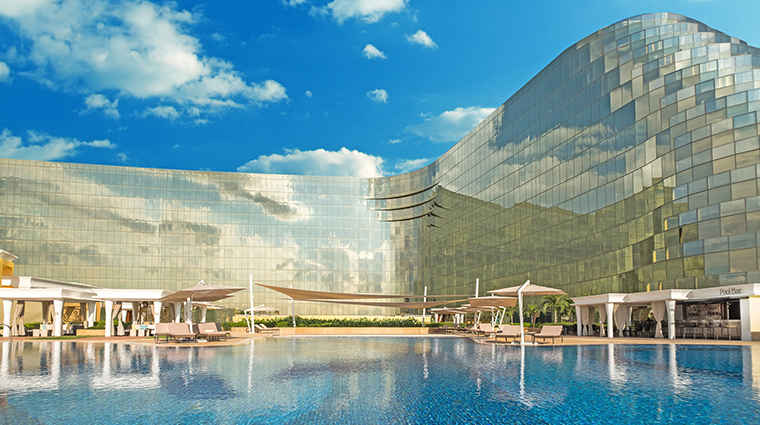 Cove Manila is Southeast Asia’s largest entertainment space. 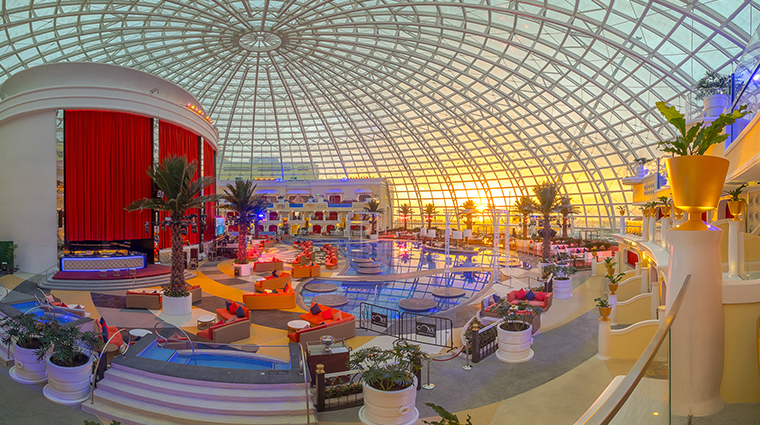 One of the hottest spots in the city, the indoor beach/nightclub hybrid resides within an immense glass dome that can host up to 4,500 guests for a pool party in the 8,395-square-foot butterfly-shaped swimming hole by day and a celebrity DJ-led rave after dark. 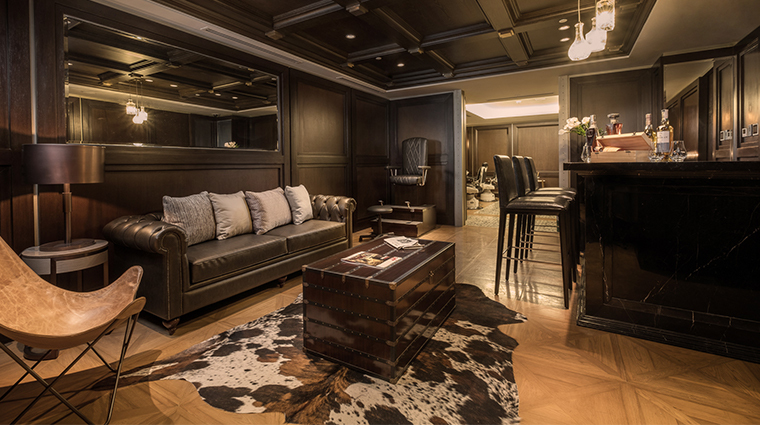 Every accommodation at Okada Manila is fitted with the DigiValet iPad, so you can control your room’s amenities — from the lights to the curtains — with just a tap. 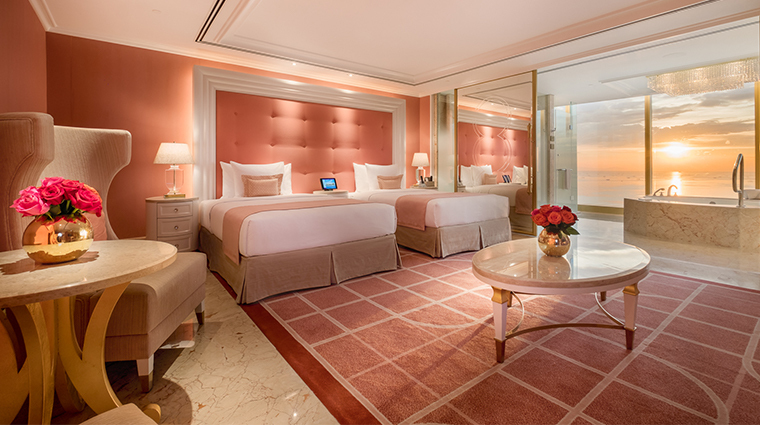 The iPad system also serves as your connection to the front desk, concierge, housekeeping and room service. 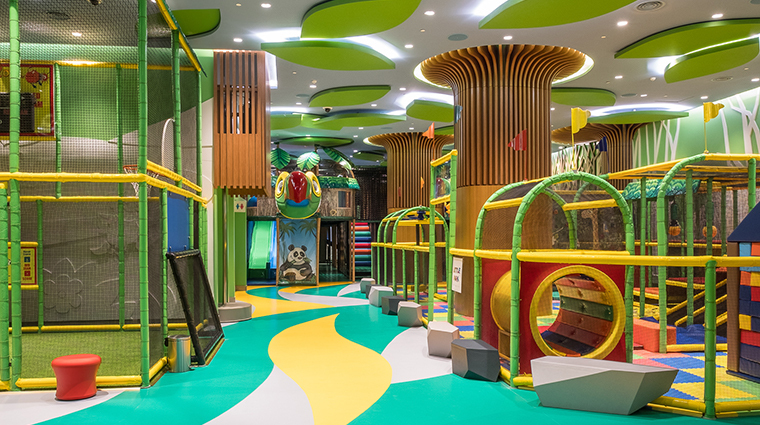 Play at Okada Manila is an indoor immersive learning and entertainment center for tiny travelers up to 16 years old. Eight delightfully fun themed neighborhoods — including the Wizard’s Den (an augmented reality play area where you get to wield wands to defeat mythical creatures), Sports Zone, Janguru (a multi-level maze and playground), Little Town and The Stage — provide endless hours of amusement. 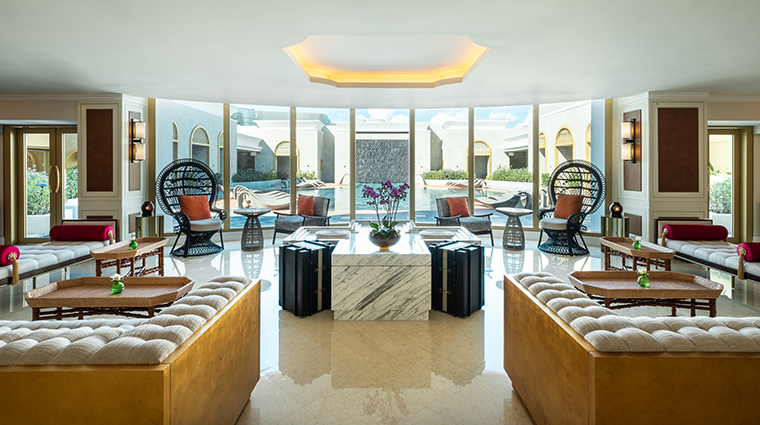 The Retreat Spa is a haven of serenity that will make you forget that you are in one of the busiest areas of Metro Manila. 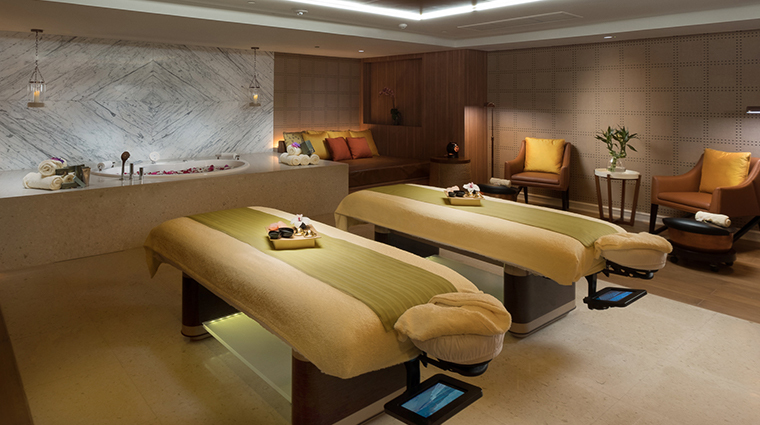 Some of its facilities include a salon for women, a bespoke barbershop for men (which serves quality whiskey), a wave room for deep relaxation and meditation, and a swimming pool. 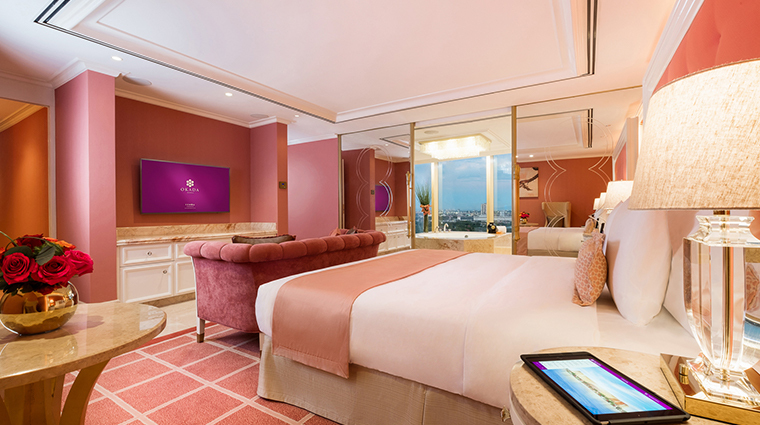 The luxury hotel affords an unobstructed view of the gorgeous Manila Bay, famous around the world for its beautiful golden sunsets. 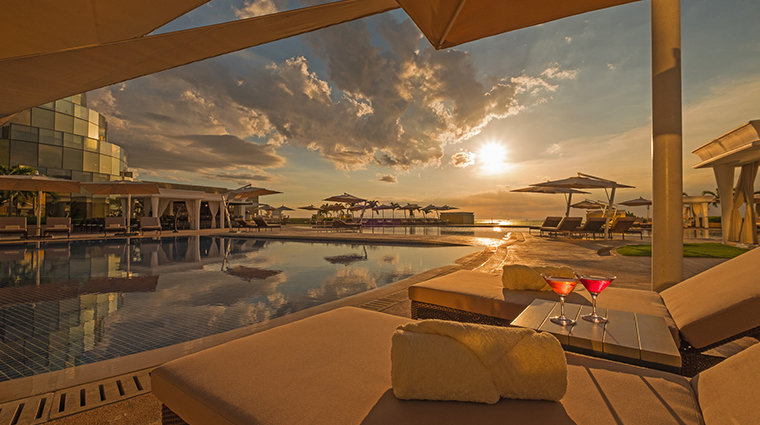 For the best view of the striking evening sky, request a room in the Coral Wing. 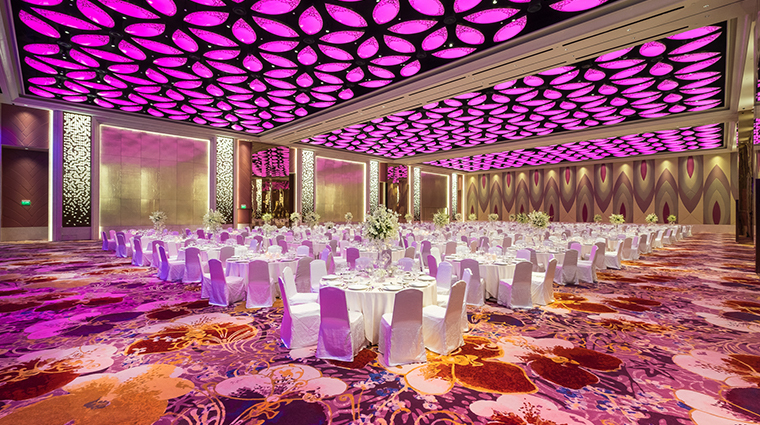 The Grand Ballroom at Okada Manila’s Coral Wing is 21,043 square feet of state-of-the-art technology melded with sophisticated design. Tastefully hidden in its ceiling is an ultra-modern system of automatic lights and sounds to fit any occasion, from a 1,500-guest wedding to an elaborate awards ceremony. Transportation to and from the luxury hotel is a breeze with its 24-hour shuttle service to specific locations around Metro Manila. The Retail Boulevard and Crystal Corridor at Okada Manila boast of dozens of luxury stores and boutiques from the likes of Lacoste, Ray-Ban and Moressi. 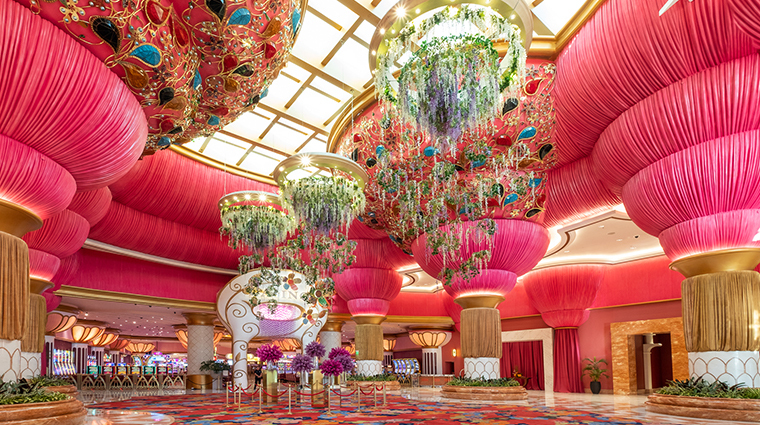 Once construction of the luxury property is 100 percent complete, the hotel will have 993 hotel rooms and suites, with sizes ranging from 592 square feet for a Deluxe Room to as spacious as the 15,069-square-foot Podium Villas in the Pearl Wing. 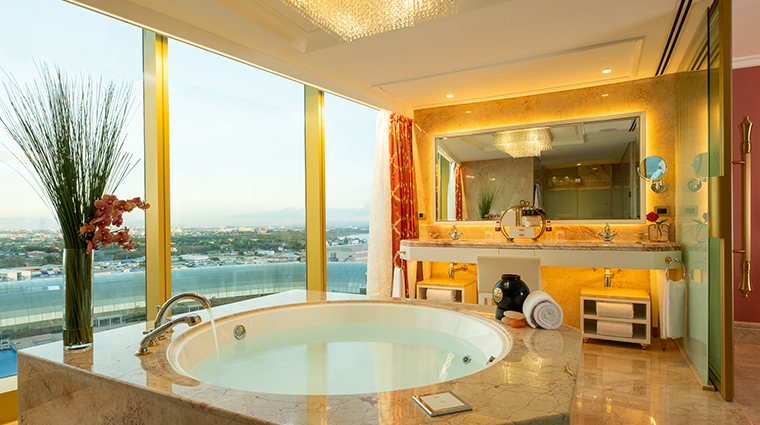 Every accommodation in the Pearl Wing comes with a free-standing Jacuzzi in the middle of the marble bathroom. 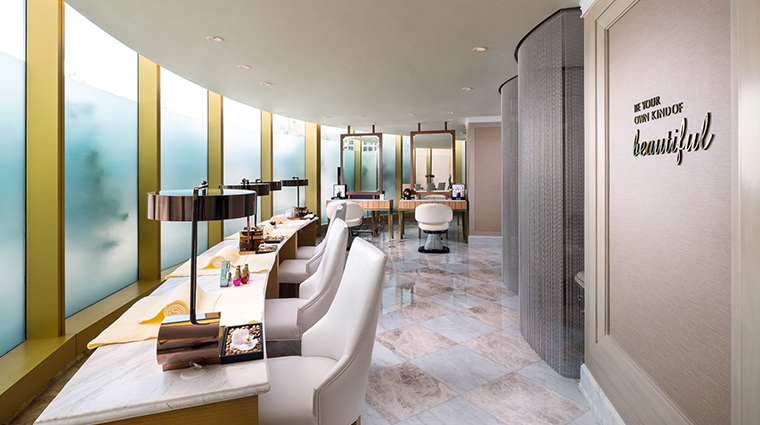 Enjoy an evening soak while taking in the view through the spotless floor-to-ceiling window of Manila Bay, the Manila skyline or The Fountain. 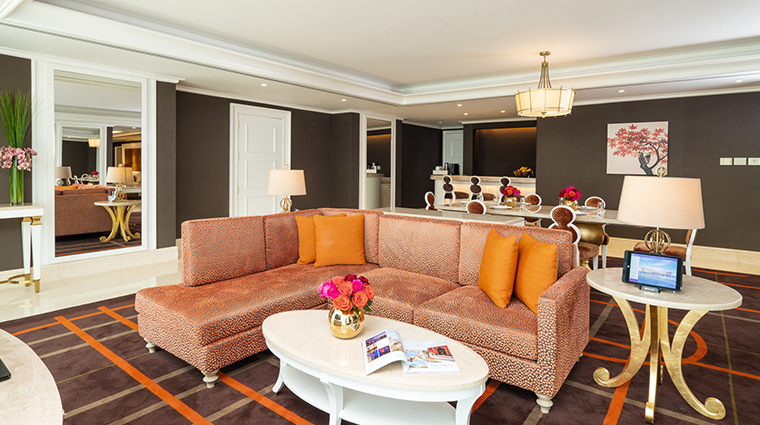 All rooms and suites feature a special line of Roberto Cavalli amenities made exclusively for Okada Manila. Okada Manila offers more than 20 restaurants — from high-end Japanese and Italian fine dining to casual Asian favorites and a pastry shop. Kappuo Imamura is helmed by noted chef de cuisine Hirofumi Imamura, who also happens to be a certified sake sommelier. 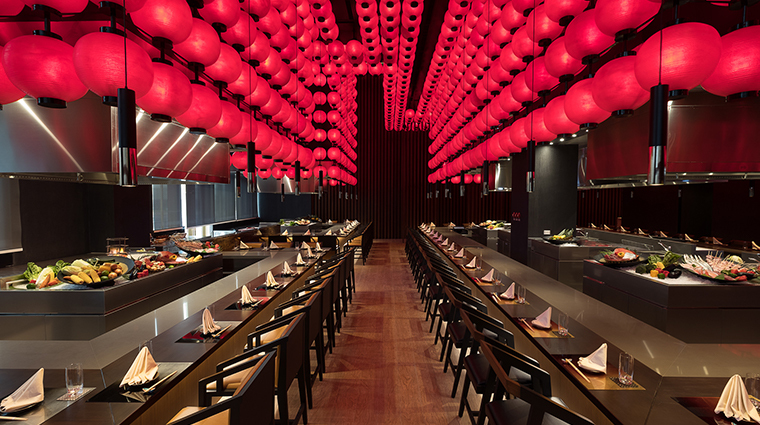 This elegant spot serves traditional Japanese dishes with modern flair in a sleek and contemporary space. 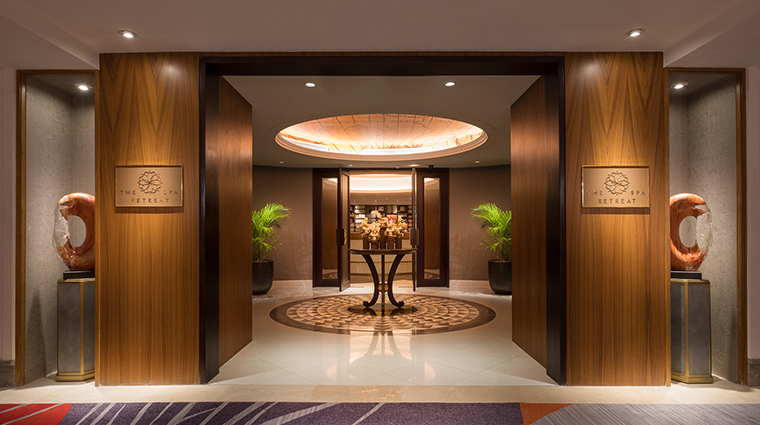 Medley is Okada Manila’s premier buffet hall, ideal for a quick and casual meal. Here you'll find seven culinary stations (which include Chinese, Indian, Japanese, Korean, Italian, rotisserie and dessert selections) serving breakfast, lunch and dinner. 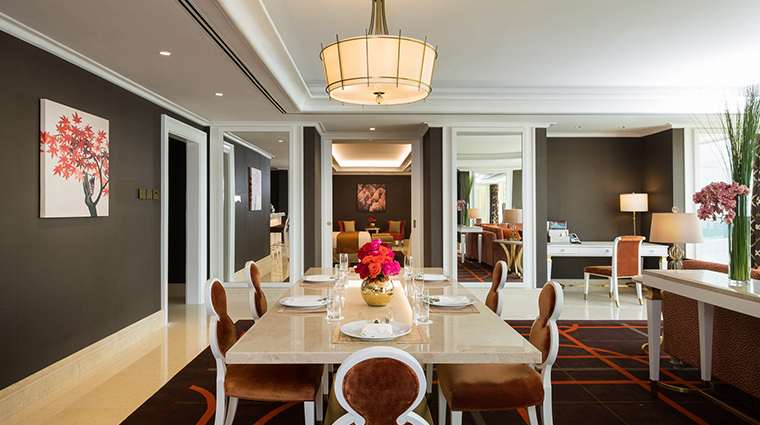 Helmed by chef Gleb Snegin, La Piazza is Okada’s answer to the world’s collective adoration for Italian cuisine. 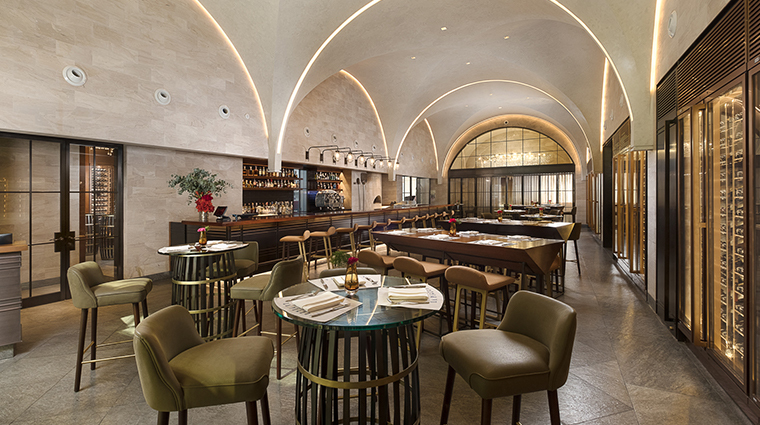 It has two sections: Ristorante, the main dining area, and the Trattoria, a tasting room that’s wonderful for an evening of wine, cheese and charcuterie. Satisfy your craving for any type of Asian cuisine, from casual Korean at Goryeo and modern Filipino fare at Kiapo to Red Spice’s hand-pulled noodles and dim sum. For dinner and a show, head to Enbu to watch chef Atsushi Yoshida create culinary magic over a traditional Japanese robatayaki (charcoal grill).